You will fly underwater with Subglider. Simplicity is at our core. Just easily grab the Subglider and dive into a new adventure. If you know how to swim, then you have nothing to worry about. Just try to avoid sharp rocks and sharks. The best way to experience an adventure is to share it. Children will love to explore the sea from new perspective! Do you love watersports? Try subgliding! 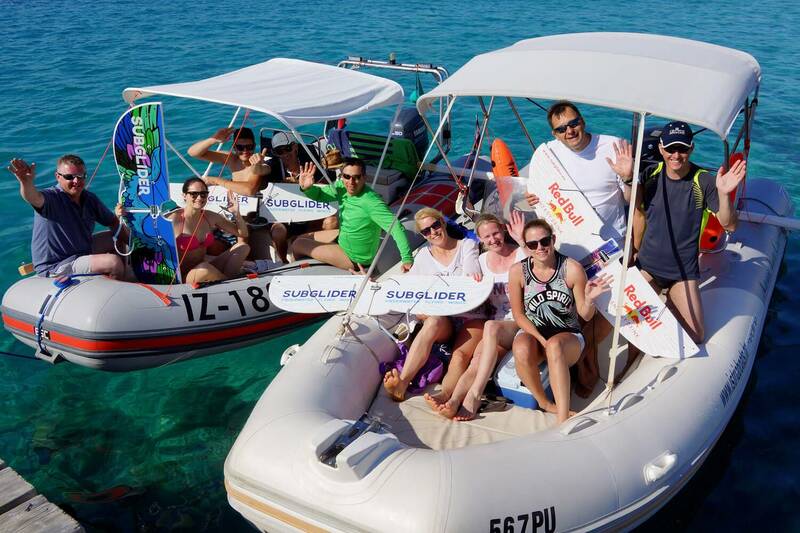 Isn’t it exciting to try something new and experience the sea in completely new way? Have you ever watched how dolphins enjoy in the water? With Subglider you can join them and do acrobatics you never could do before. Would you like to have your own logo or design on Subglider? We take design very seriously. That is why we thought you are going to love the idea of personalizing your Subglider. Do you have a moto? Print it on! Just send us your logo and we will prepare your design. What are the age limits and health restrictions for the use of Subglider? 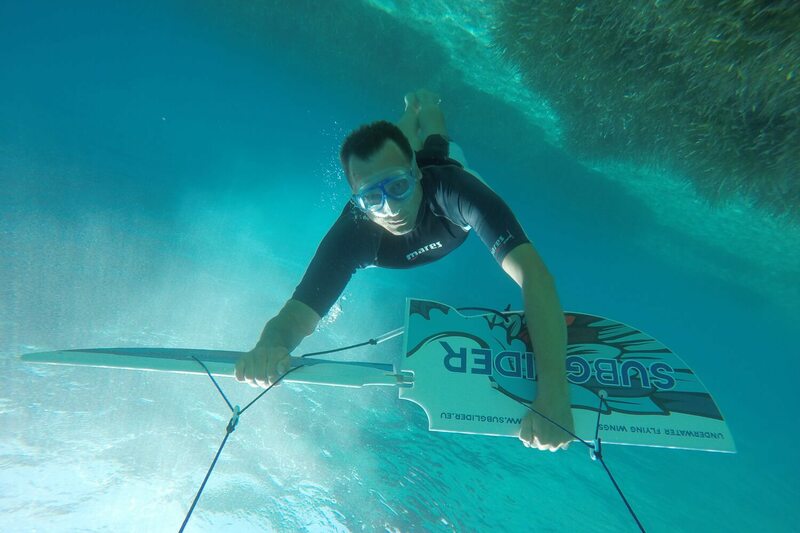 Subglider can be used by perfectly healthy adults who are capable of free diving. Children younger than 18 years can use the Subglider under the supervision of their parents or other guardians. It is recommended that every user consults his or her physician before using Subglider. To what depth can I dive with Subglider? You can dive to a depth of 2.5 m. It is not recommended to dive to greater depths, as there is a danger of accident or injury. If you use a 30 m-long tow rope, it is possible to dive to a depth of 10m, but bear in mind that this is very risky and dangerous. 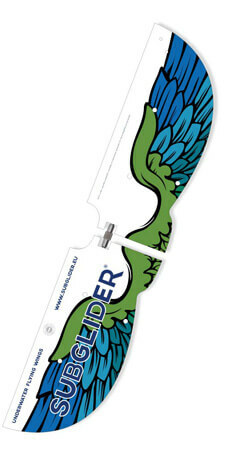 Subglider and other products have a 12-month manufacturer’s warranty. Normal wear and tear is not considered a complaint. What is the weight of Subglider? Subglider weighs 5 kg. Since it floats on water, you will not feel its weight when using it. Can I use compressed air or other gas mixtures when diving with the Subglider? You should never use compressed air or other gas mixtures (Nitrox, Trimix, etc.) when diving with a Subglider. It is life threating. How should the Subglider be maintained? The Subglider and all other products from the Subglider programme should be rinsed with clean fresh water, dried and stored in a dry place after each use. The storage of a wet product can cause the growth of mould. It is not recommended to store it in sunlight or in an open area.